I know it’s already 2019, I am catching up! 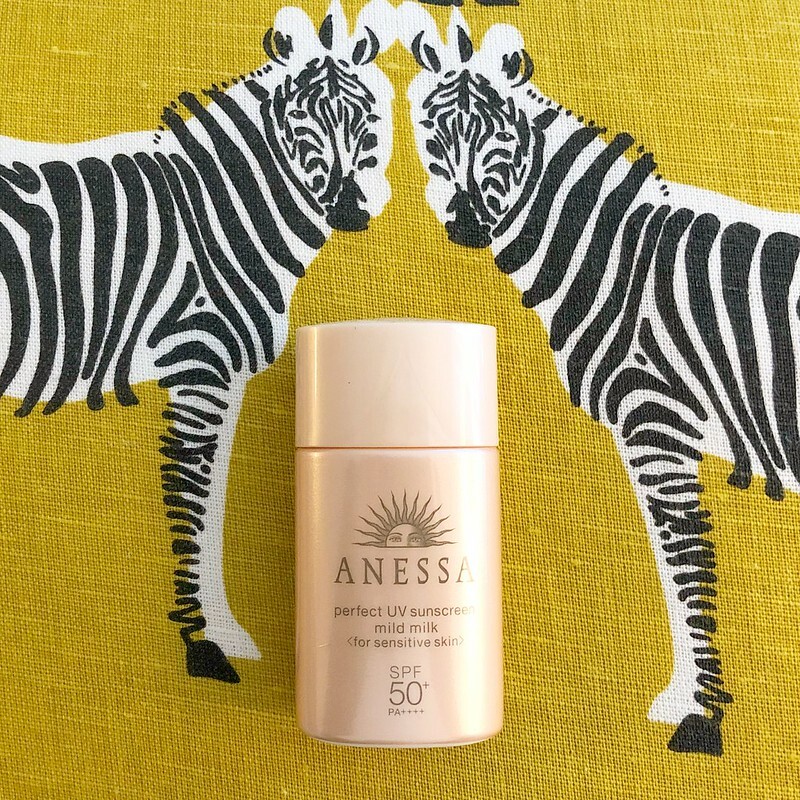 I compiled a list of my favorites… not just skincare! Listen to your skin. It’s hard for me to tell the effect of one product, since I switch around and may add multiple new ones at one time. But, I will say that anyone that goes from using nothing to something will see a difference in your skin. Hydrating toners (not the stripping kind that you apply with a cotton pad), cleansers at a right ph, double cleansing, some exfoliating, or essences make a discernible difference. There are always affordable options for every product type. Favorite Cleanser: Tatcha Cleansing Oil and Cerave Foaming Facial Cleanser. I have tried other cleansing oils during the year (and will continue to) but my favorite is still the Tatcha. I’ve been using the Cerave as a first or second cleanser for a long time. These cleansers clean well and don’t strip the skin. Favorite Watery Essence: The Amorepacific Vintage Single Extract Essence was on my waitlist for a while.This was a rare product that was sold out on the Lotte Duty Free app so I had to buy in person, but it worked out because I got a ton of gifts. It’s made of fermented green tea (yummy antioxidants!!). It’s Martin Luther King, Jr. Day on Monday, which means a long weekend (for me) and more sales on top of end-of-the-season sales. Amazon Prime (look for banner on top of page) is discounted from $99 to $73 for new subscribers through Sunday night in celebration of their awards at the recent 73rd Golden Globes Awards. I use Amazon Prime quite often for expedited shipping, Amazon Prime Music (download music offline and organize into playlists), Amazon Prime Video (download offline for the plane or I watch it like Netflix), Kindle lending library, etc. I also share free shipping with my mom and she loves the free shipping. Some existing subscribers have had success getting the discount through online chat with CS. Uniqlo has been having sales for a while (when do they not have a sale?). They are clearancing out their Carine collection and the Ines de la Fressange collection is mostly gone. Inventory fluctuates constantly. IDLF is mostly sold out but Carine still has a ton of stuff left – their blazers and coats (which I like the most out of the collection since I’m not a ruler) are a STEAL at ~$40 (75%+ off) each. And you can always return it if it doesn’t work out. The collection runs TTS to small. Get another $18 off $100 with codeMLK18 through Monday. Anthropologie additional 40% off sale with code XTRA40. Clare V up to 30% off seasonal styles. Winter and dry skin are coming. 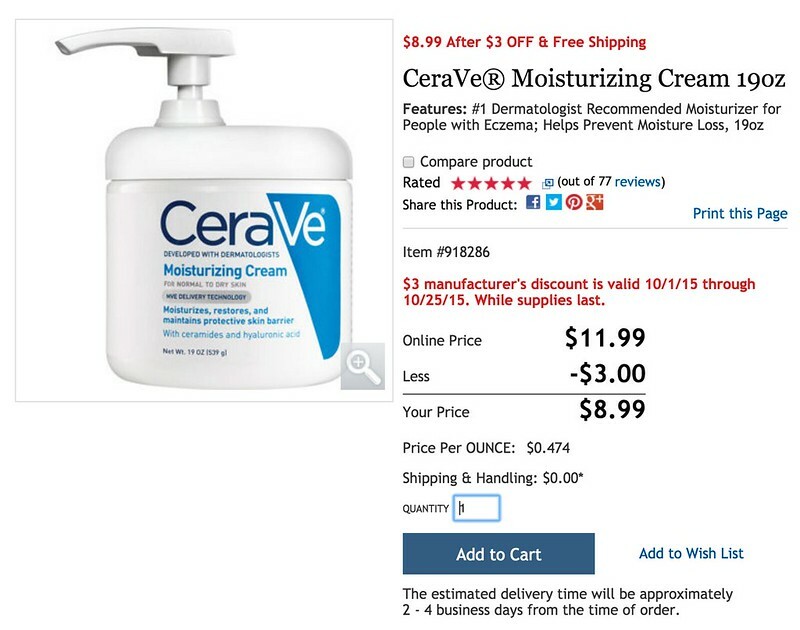 This 19 oz tub of Cerave moisturizing cream with pump is on sale with free shipping. I do not believe this requires a membership to purchase. 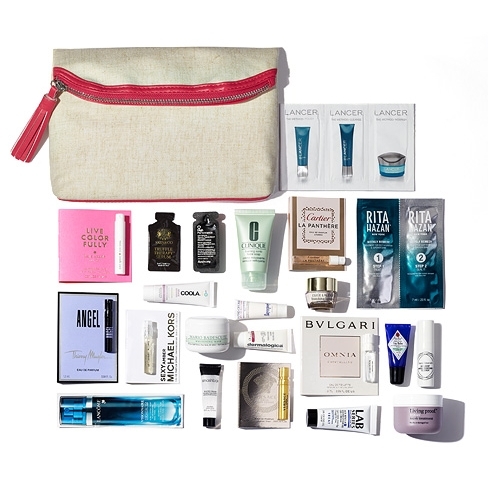 Order more than $130 in beauty and fragrance at Nordstrom and get a spring gift set valued at $121 (pictured). 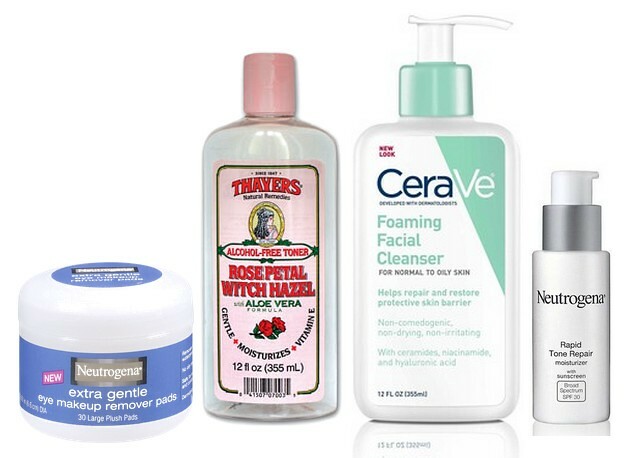 If you spend over $150, they’ll tack on a deluxe Fresh rose mask and toner. Check out their gifts and value sets and exclusives, like the YSL Pop Water collection, or travel and trial sizes. I wouldn’t buy something just for the gift, but it works out nicely if you needed to make a purchase, especially since some brands also have a gift with purchase. Free sample gift box from Cerave. Clare Vivier la Trop in red (shop)! My favorite tote is back (use code SPRING25 for 25% off)… and CV’s new WeHo shop is open. Rifle Paper Co collaborates with Birchbox. My favorite striped tee. It often sells out. It’s lightweight and can be worn year-round, not clingy, and perfect for layering under blazers for work. I have it in three colors. New Cuyana zipper totes launched on April 1. Urban Outfitters has an excellent selection of Asian skincare brands. I took a random sample and compared UO prices with other online retailers and sadly, UO has quite a markup. Get 20% off, I think, through today. Through Saturday, Drugstore.com is running a 20% off promotion off the beauty department, which includes skin care, cosmetics, hair care, bath, etc. Some items are already discounted and you can get 4% back through eBates (which also has 8% back for Neiman Marcus, Sephora and 9% back for Yoox this week!). Get free 2-day shipping (on most items) with ShopRunner (previously free for Amex cardholders and recently free for all to compete with Amazon Prime). This is the lowest price I’ve seen for my favorite cleanser!